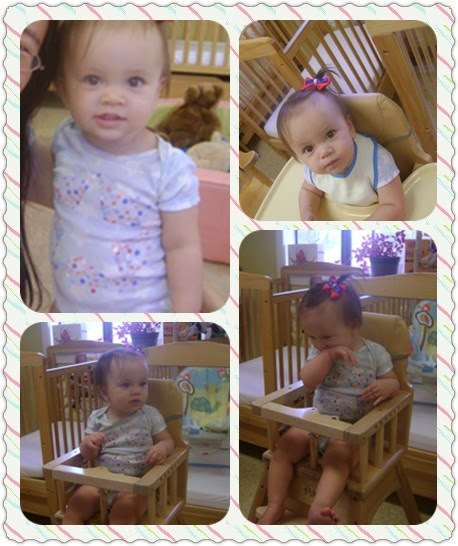 I've been looking for ideas to diy something July the 4th for my little girl. I mainly focused on the hair accessory like hair clips b/c there are easy and usually takes a little bit time to make. Oh, lucky me. 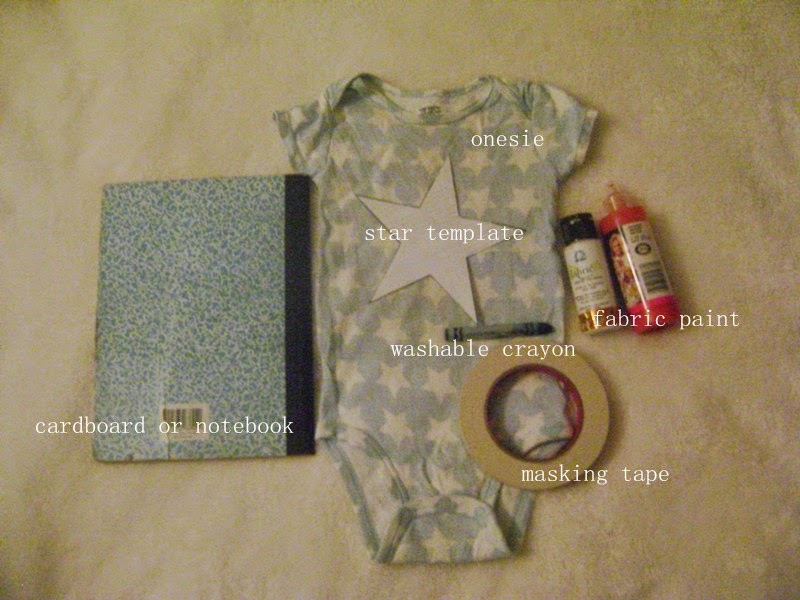 It looks easy and I totally have everything that I need to make this eraser stamped tee (I'm actually doing a onesie...). 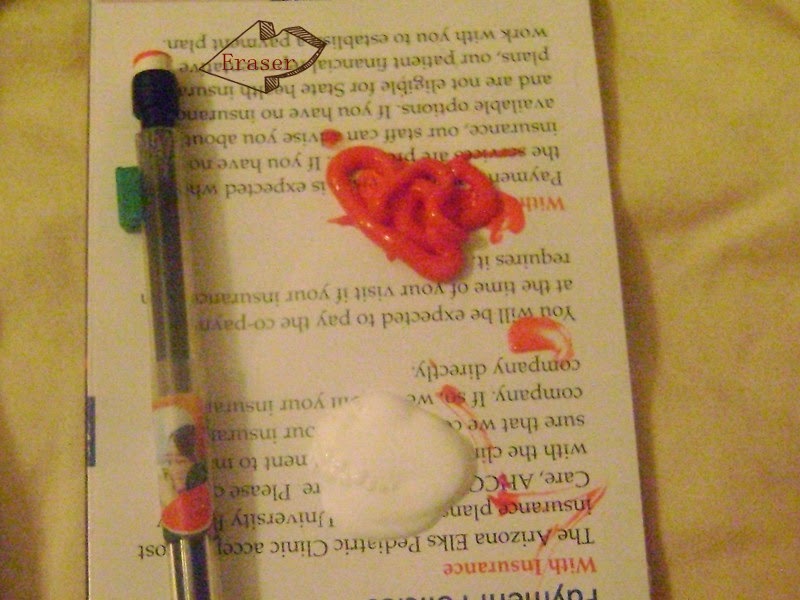 Eraser: it's missing from the pic!!!!! Use the pencils that have eraser on the top. Onesie of your choice. Mine is from Carter and already has star pattern on it. Star template. Google image, print and cut. My dear hubby did this part for me. Washable crayon, from my daughter's art box. I bought it from local Target. Step 3 Get your working station ready. When I need to paint, I always use an old bed sheet. Step 4 Stamp, Stamp and Stamp. Have fun! Step 5 Remove the masking tape. Step 6 Let dry and dress up the baby!